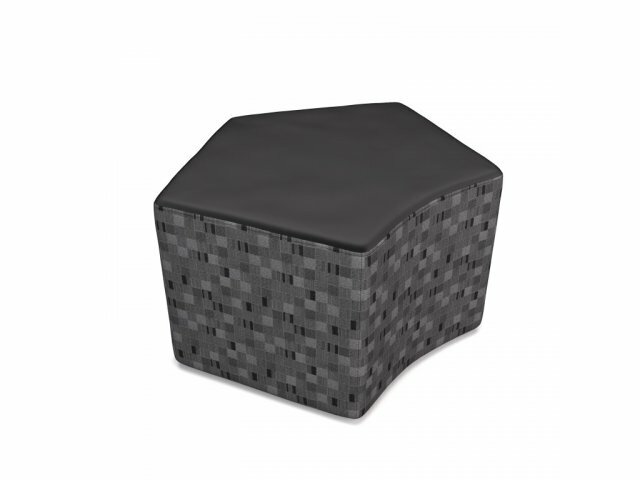 With the Quin Soft Seating Stool from OFM, you can reconfigure or redesign your space whenever you like. 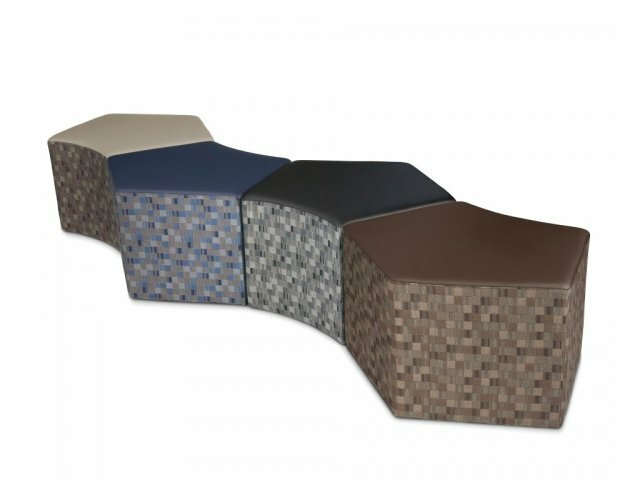 A contemporary five-sided shape including one curved side facilitates unlimited configurations. 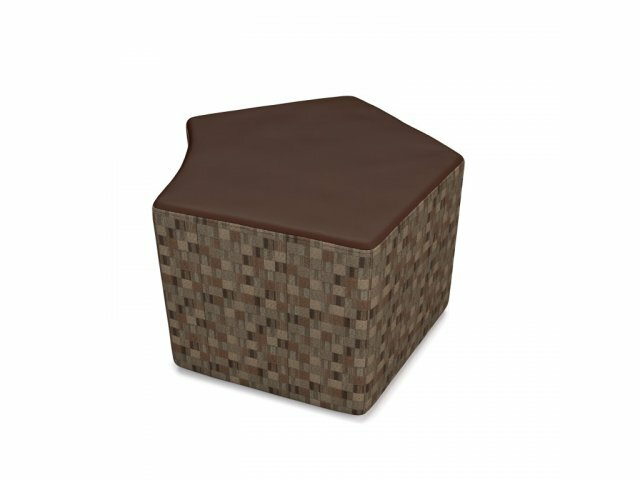 By simply turning stools around and pushing them into any shape you like, you can create a brand new look for your space whenever you want. 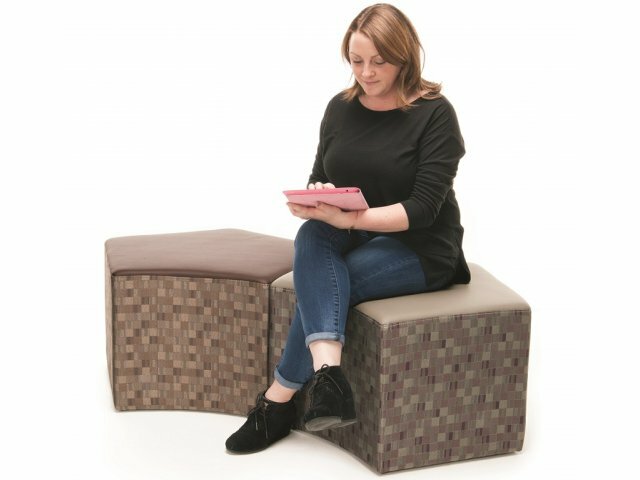 This fantastic piece of modular soft seating is perfect for any library, classroom, waiting room or information commons area. 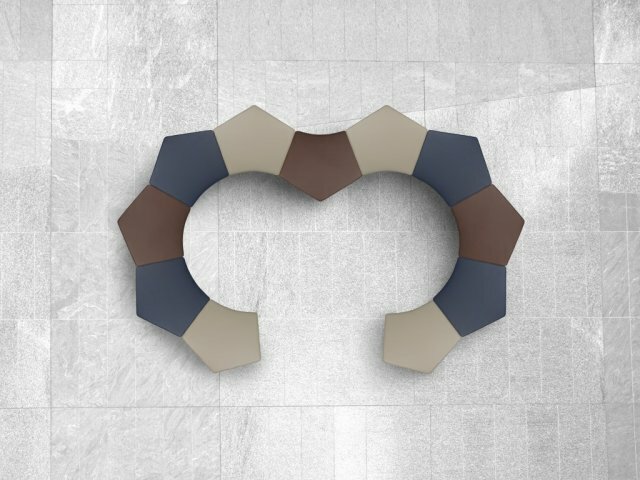 With a selection of two-tone and solid upholstery options, you can choose one hue to coordinate with your space or mix and match. 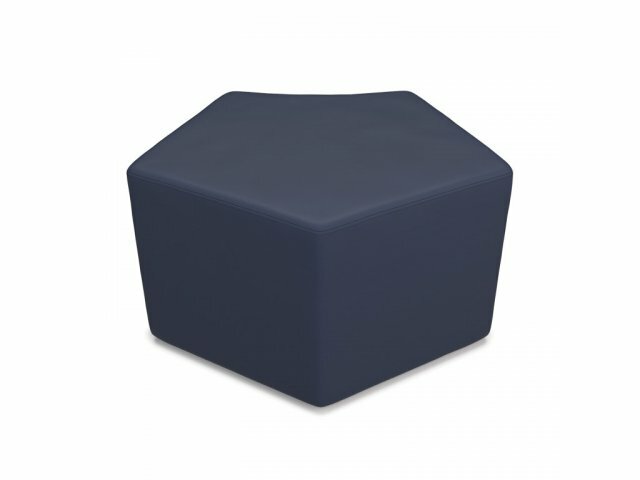 A four hundred pound weight capacity supports all of your clients or students comfortably. 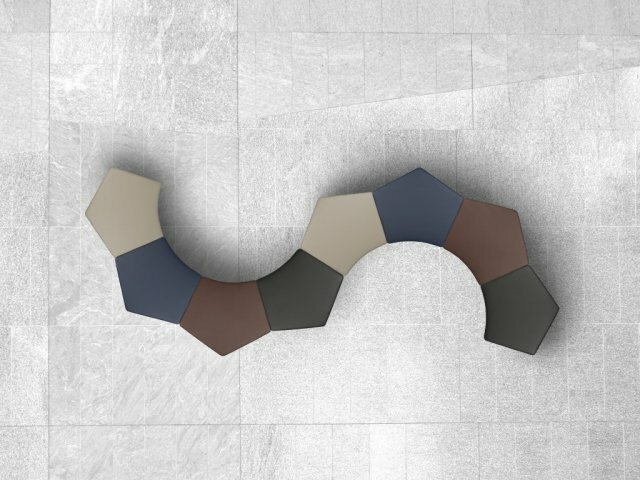 Versatile Design: Fits right into any library or lounge space. 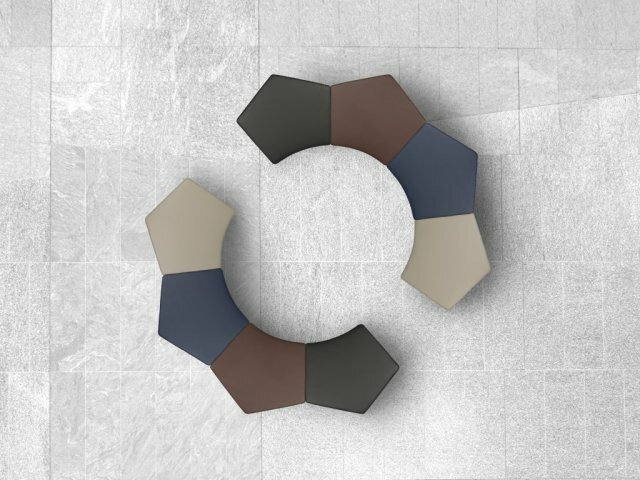 Modular Shape: With five sides (one curved), stools fit together in unlimited configurations. 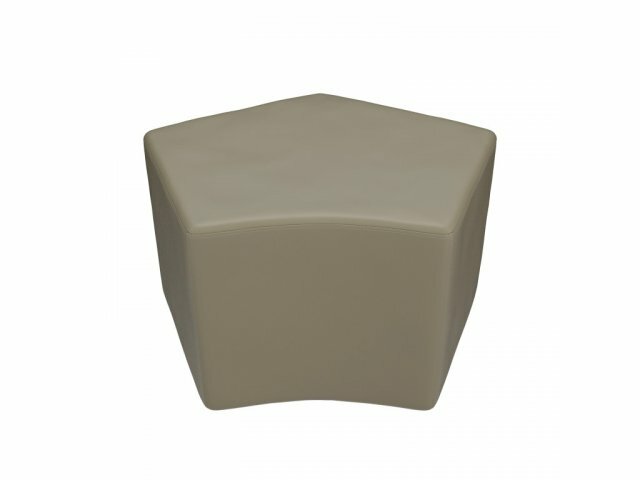 Low Maintenance: PVC-free polyurethane top is easy to wipe down, and offers the same aesthetic appeal as leather. Super Strong: A weight capacity of 400 pounds provides support for people of various sizes. 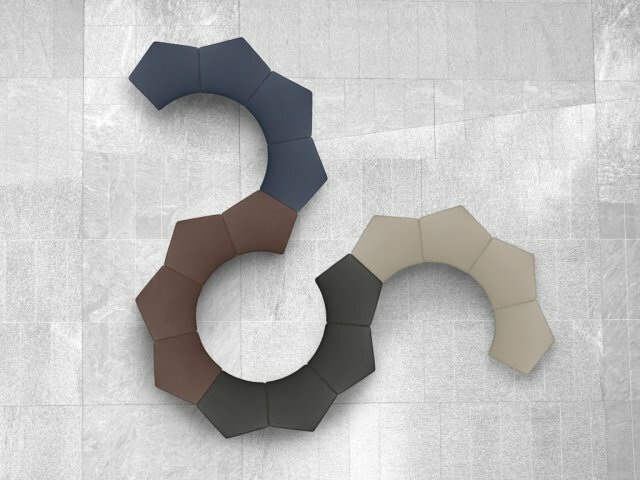 Attractive Selection: Available in four different two-tone combinations and four solid color options.